Big Banks Agree To Pay $8.5 Billion To Settle Foreclosure-Abuse Claims : The Two-Way Some borrowers who were mistreated during foreclosures will receive compensation. The payments will range from hundreds of dollars to $125,000. The agreement ends a case-by-case review of the banks' actions. April 2011: A foreclosure sign in front of a home in Richmond, Calif. Ten of the nation's major mortgage servicing companies, including household names such as Bank of America and Citibank, have agreed to pay $8.5 billion to resolve claims that they abused some homeowners when they foreclosed on mortgages during the recent housing crisis, the Federal Reserve and the Comptroller of the Currency announced late Monday morning. According to the Fed, $3.3 billion of the settlement will be "direct payments to eligible borrowers" and $5.2 billion will go toward "other assistance, such as loan modifications and forgiveness of deficiency judgments." It adds that "eligible borrowers are expected to receive compensation ranging from hundreds of dollars up to $125,000, depending on the type of possible servicer error." Along with BofA and Citi, the companies in the agreement are: Aurora, JPMorgan Chase, MetLife Bank, PNC, Sovereign, SunTrust, U.S. Bank, and Wells Fargo. 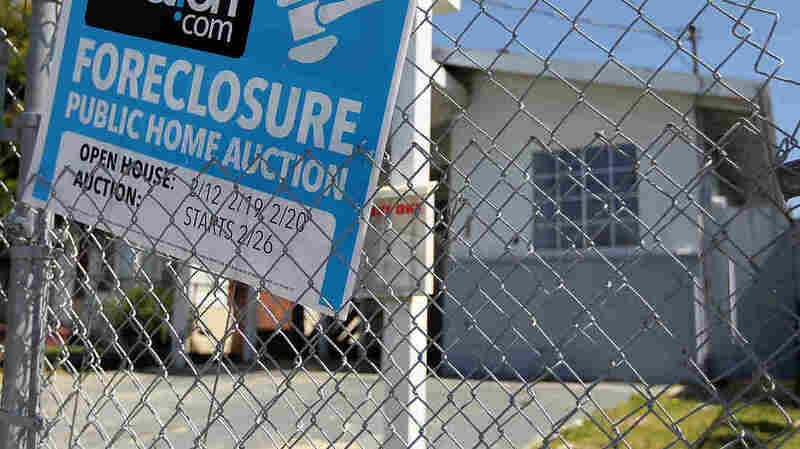 The New York Times, which last night broke the news that the settlement was about to be announced, writes that the deal should "resolve claims of foreclosure abuses that included flawed paperwork used in foreclosures and bungled loan modifications. ... The settlement concludes weeks of feverish negotiations between the federal regulators, led by the Office of the Comptroller of the Currency, and the banks, and will end a troubled foreclosure review mandated by the banking regulators." Earlier today, Bank of America agreed to pay the Federal National Mortgage Association (Fannie Mae) $3.6 billion in cash and will to buy back $6.75 billion worth of mortgage-backed securities to resolve claims related to securities sold to Fannie Mae by the bank and Countrywide Financial Corp. (which BofA acquired in 2008).